As another year is drawing to a close, the whole world prepares for one of its biggest celebration nights. Whether you gaze at fireworks blasting across breath-taking backdrops, celebrate with style in the street parties of iconic capitals or party in style on beautiful beaches. There certainly is no shortage of amazing ways and places to bring in the new year… the only difficult part is deciding where to go! 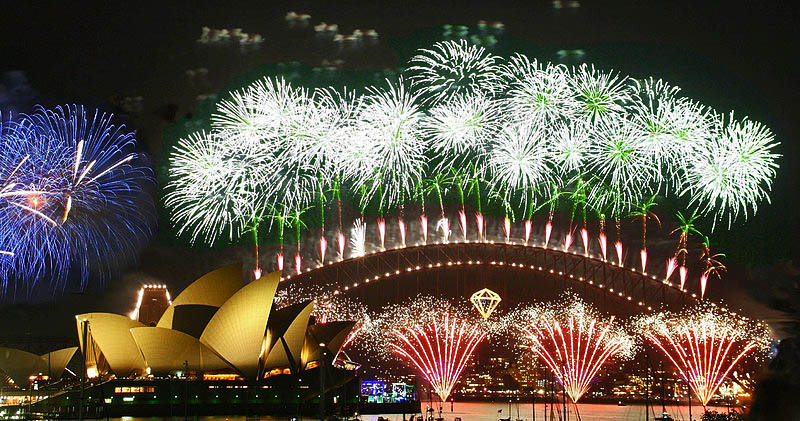 The world-famous Sydney Harbour NYE firework display is visited year-on-year by more than a million people and watched world-wide by over one billion! From the waterfront partiers, the boats full of revellers bobbing in the water and gatherings of people enjoying the view from other areas like Cockatoo Island, Cremorne Point, Mrs Macquarie’s Chair and more! The spectacular 12-minute display (a minute for each month of the year) launches thousands of fireworks from the Opera House, nearby buildings, barges on the water, and from Harbour Bridge along with the breath-taking light displays. 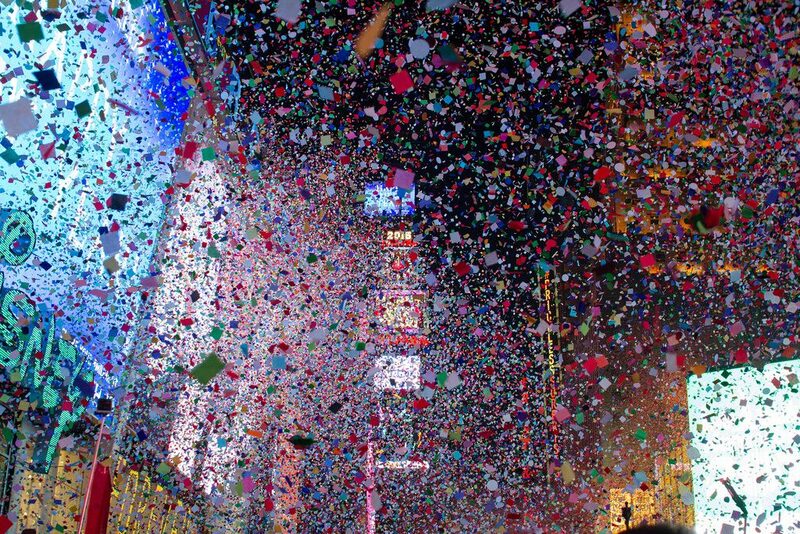 More than one billion NYE revellers around the globe tune in to see the glittering ball drop high above the crowd of one million partiers celebrating the start of a new year. 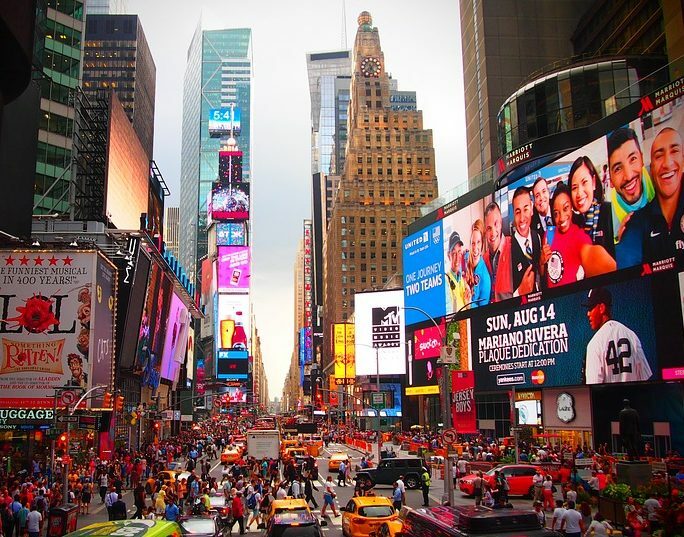 Crowds are drawn to Time Square, New York City, early within the day to bag their place for prime viewing. Star-studded concerts entertain the crowds lining the streets and watching from rooftop parties before the spectacular fireworks begin. The spectacular display of fireworks light up Hong Kong’s Victoria Harbour to the mesmerising rhythm of music. And if that isn’t enough to overload your visual senses, synchronised lasers and LEDs explode across this frenetic city’s famous landscape. 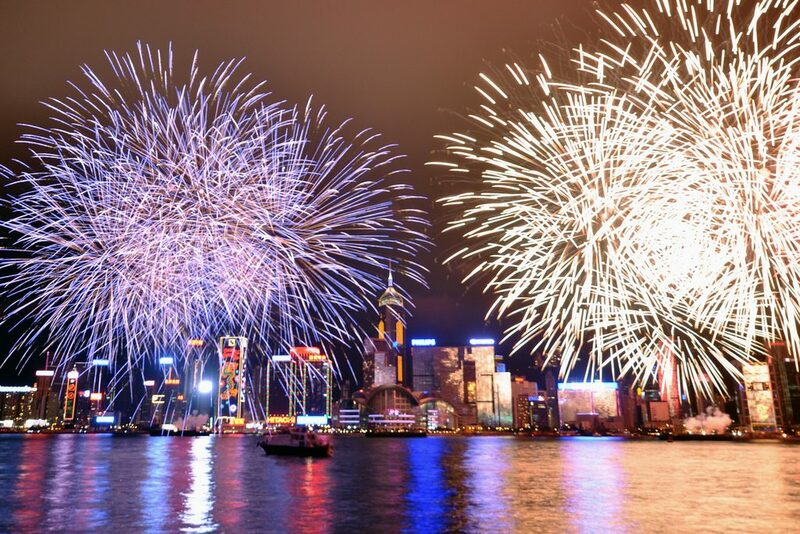 Enjoy the NYE extravaganza by joining the excitable crowds who fill the streets, party with style from one of the HK’s many world-class rooftop bars or escape the mass and enjoy the fireworks from a traditional junk bobbing on the water. 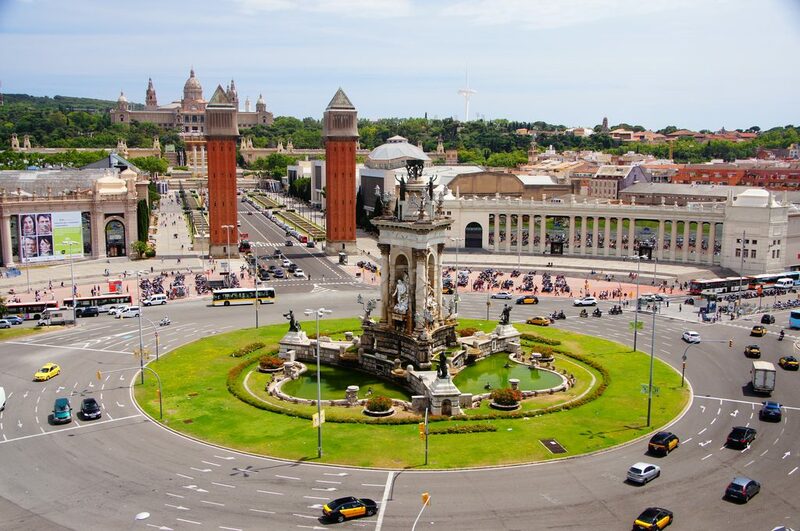 In Barcelona it isn’t all about that one spectacular firework display that dazzles the night sky as the clock strikes midnight. Barcelona is a city that doesn’t sleep, so the revelry doesn’t start gearing up until close to 11pm. Large excited crowds gather at Plaça d’Espanya to watch the midnight pyrotechnics on Montjuïc, the hill just above. Once the firework display has finished, many of the partiers head to the nearby the open-air architectural museum, Poble Espanyol, to enjoy a huge dance party until 6am. 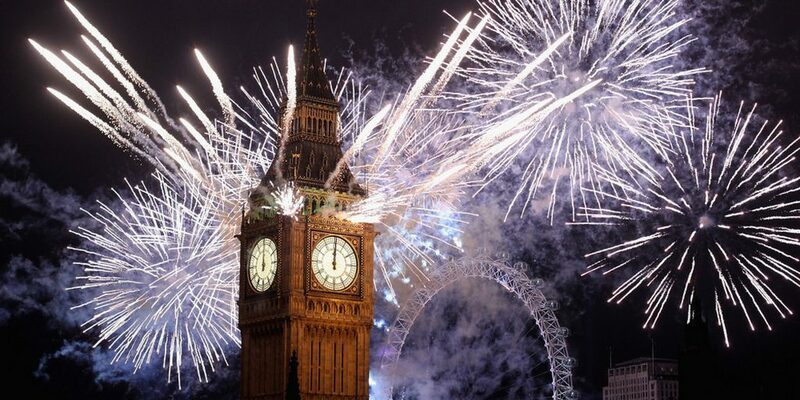 London is another iconic backdrop to bring in the new year with spectacular style. With an official staging area along the River Thames tickets sell out fast around September time. 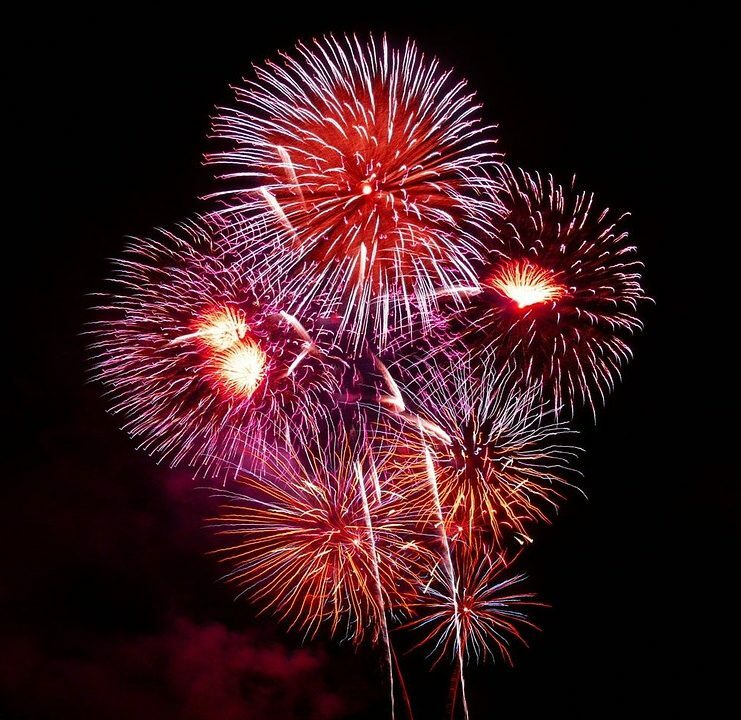 But you can watch the fireworks for free from locations a little further back such as Primrose Hill, Parliament Hill on Hampstead Heath, Greenwich Park and Alexandra Palace. Or why not celebrate in style and take a river cruise on the Monsoon Clipper or other boats to watch the thousands of fireworks light up the famous London skyline from the water.